Maroondah Highway is the spine of the Maroondah Bicycle Network. Capacity to link existing cycling routes and trails is dependent on the provision of dedicated bicycle lanes on Maroondah Highway. 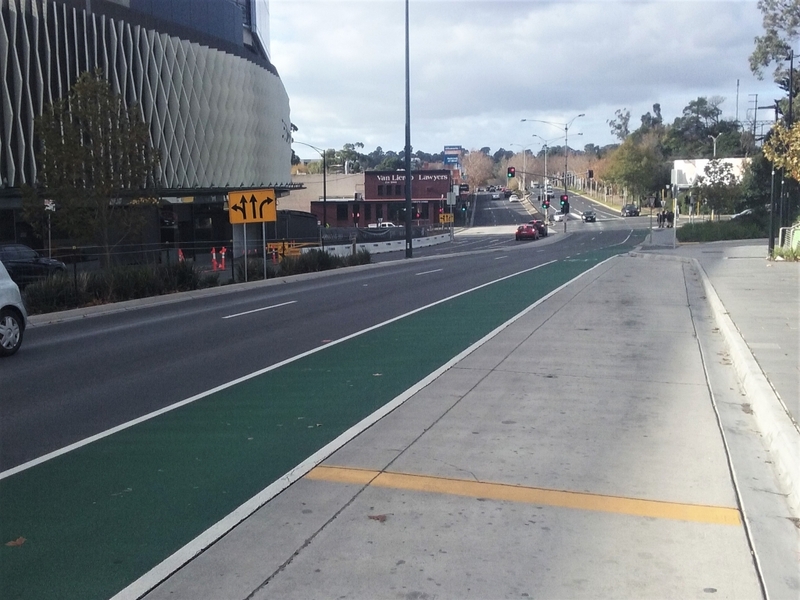 Without the improvement to safety, connectivity and convenience offered by the bicycle lanes, the appeal of cycling on Maroondah highway will remain limited to experienced road cyclists. Installation of bicycle lanes within the service lanes along the Maroondah Highway will provide direct bicycle priority connectivity between the Ringwood, Croydon and Chirnside Park activity centres – the regional signiﬁcance of these centres is conﬁrmed by inclusion in the Chirnside Park to Mordialloc Strategic Cycling Corridor. Construction of these lanes will provide safe and appealing cycling in Melbourne’s east and help reduce road congestion.